You may not know it by its trademarked name, the Doypack, but you see this type of stand-up pouch everyday. Containing anything from candy to soup to detergent to pet food, this popular packaging format is designed to stand alone unassisted and differentiates itself from typical flexible packaging bag styles for that reason. The Doypack is its own billboard, providing a great canvas for marketing and having much greater shelf visibility than packages that must lay flat. This stand-up pouch is loved by manufacturers and consumers alike because of its convenience, functionality, and pleasing aesthetic properties. The Thimmonnier Doy style pouch was devised in 1963 by French inventor Louis Doyen, then president of Thimmonnier Company, and trademarked internationally under the name 'Doypack'. 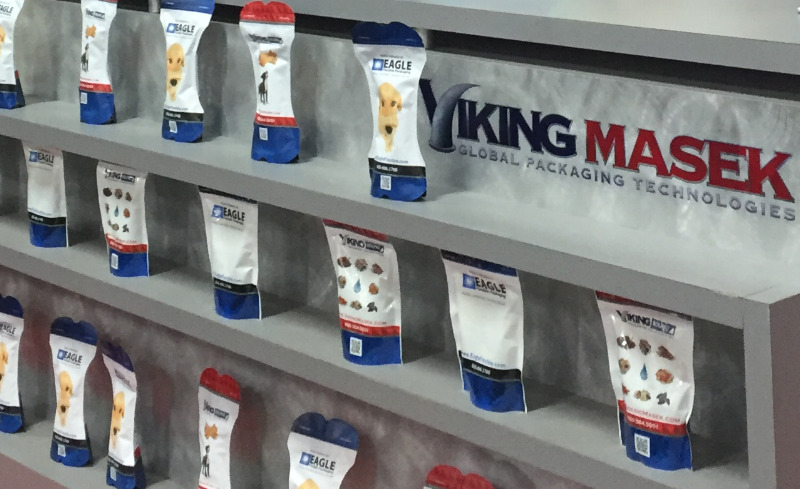 Thimmonnier reports that today over 40 billion Doypack pouches are sold per year. 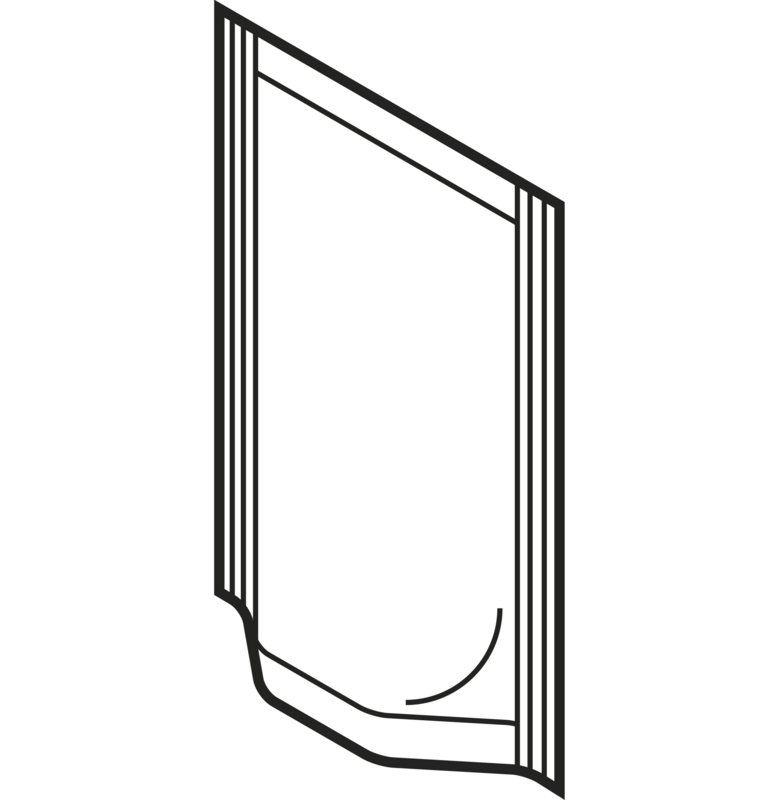 According to Packaging Digest, "the basic Doyen design consists of two flat sheets sealed together along their sides, with a 'W' fold running along the bottom. 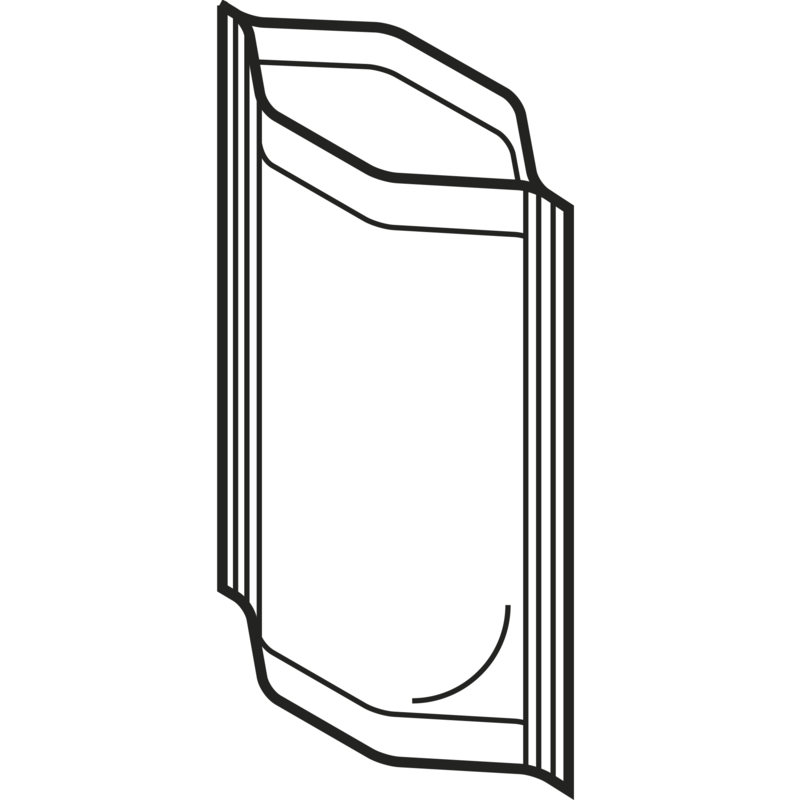 When the pouch is filled, the 'W' opens and provides a base on which the pouch can stand." This pouch type was revolutionary, boasting the ability to stand upright on its own, hence is also known today as the stand-up pouch. 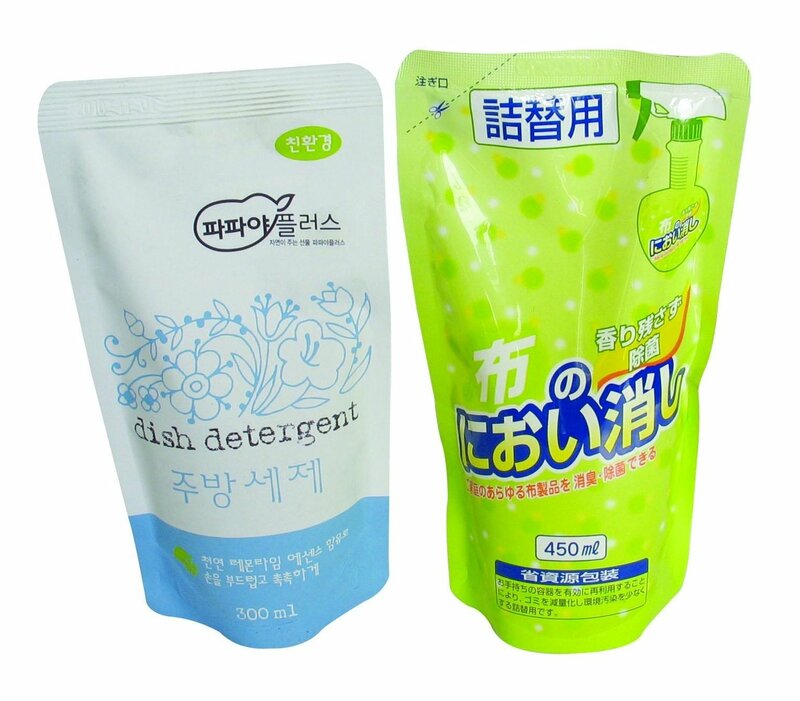 Packaging Digest reports that later, Taiwanese engineer Wayne Chang designed a new version of the stand-up pouch, using a tube as the body and sealing not one, but two gussets (one at the top and one at the bottom). Looking much like a bottle, this bag type is able to maintain its stability and won't tip over when half emptied as many stand up Doy bags have a tendency to do. This design is called the S-Pouch, and unofficially the Double Doy bag. Chang claims it can be filled up to 97% of the package size which reduces required pouch size by up to 20%, resulting in material reduction of up to 20% as compared to a normal stand up pouch. Offering a package that is functional, aesthetically pleasing, and convenient is the hallmark of the Doypack. It functions as a barrier between the product and its environment as every packaging type does, but the Doy bag is also made from slightly more rigid materials that allow it to stand on its own, making it easier to store and simple to use in a consumer's everyday life. The aesthetics of the Doypack are one of its most noticeable attributes; it is a striking bag design that captures consumer attention and provides a great canvas for conveying a brand's message. The convenience of the standup bag is almost unbeatable; it can stand unassisted, is portable and lightweight, and often contains resealable options like zippers. Nuts, candy, and snack packaging. For today's on-the-go consumer, snacks need to be packaged in right-sized containers that are light and easily portable but can also be resealed and enjoyed at a later time. The Doypack fulfills the above requirements while at the same time providing a superior barrier against spoilage, even after the package is opened and resealed. Plus, in a heavily competitive market, snack packaging that stands out catches the eye (and the wallet) of a harried consumer. Liquids packaging. Products like soups and sauces have in the past been packaged in rigid containers like glass bottles and metal cans. However, rigid packaging formats are more difficult and expensive to ship and store, plus broken glass and sharp metal edges pose safety hazards. Modern stand-up pouches are generally safe and contain fitments like pour spouts that make dispensing liquid products much easier than flexible packaging solutions of the past. Pet food packaging. As pet owners increasingly seek out fresh and gourmet fare for their animals, the large bulk paper-walled bags of kibble are a thing of the past. Flexible packaging solutions provide a better barrier against humidity, contaminants, pests, and increase shelf life. Smaller and sometimes custom-shaped Doypacks of pet food and treats are donning the shelves, providing an attractive and convenient way for consumers to try new product variations. The Doypack is one of the most in-demand bag types today. And while this bag type can certainly be created on a vertical form fill seal machine, we must be honest and tell you that a Doypack created on VFFS equipment, while functional, will not look nearly as attractive as a premade stand-up pouch. CPG companies today who seek a premium, specialty look are purchasing prefabricated Doypacks and then investing in automatic pouch packing machinery to complete the packaging process. These machines are easy to set up and operate, quick to change over to different pouch sizes, and provide an aesthetically superior result. Originally published on 9/2/2016, updated 4/24/2018.